Turn your aggregated IoT data into useful and understandable logs, lists, charts and maps, filtered on time and sensors. Select one or more sensors to watch. Follow data over time via automatic log, list, chart and map updates. Select among pre-defined time windows, or choose start and end time exactly. Move between visualization modes without losing settings. Download data based on made selections. Abiro IoT is integrated with Sensative's IoT platform Yggio and Microsoft Power BI. Use Power BI for further analysis of sensor data, in real time via a streaming dataset or based on downloads from Abiro IoT. 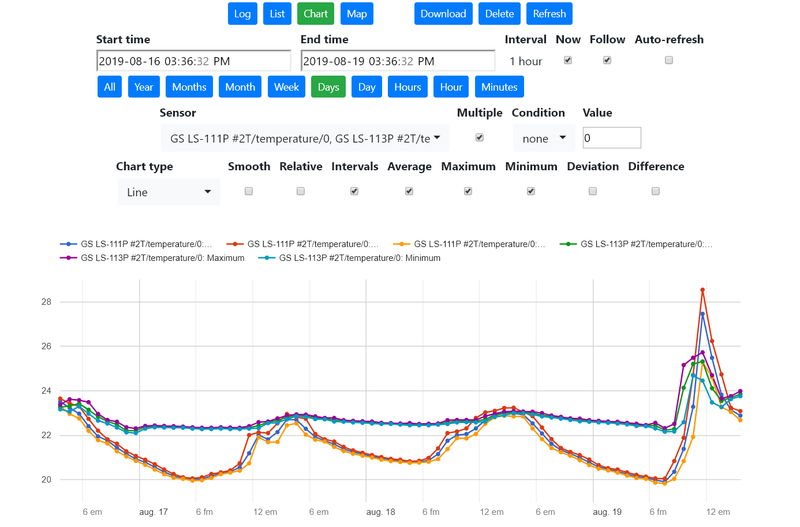 See a demo of how sensor information can be presented based on a streaming dataset. Access is provided to Abiro and Sensative customers on request. There's no self-service registration at the time being.